As you may have gathered from my Kansas City Guide, I really liked Kansas City. And sure, it had something to do with the friendly locals and the ribs that I still dream about every single night, but it also had something to do with the trunk full of vintage, mid century furniture that my friend and I hauled home. 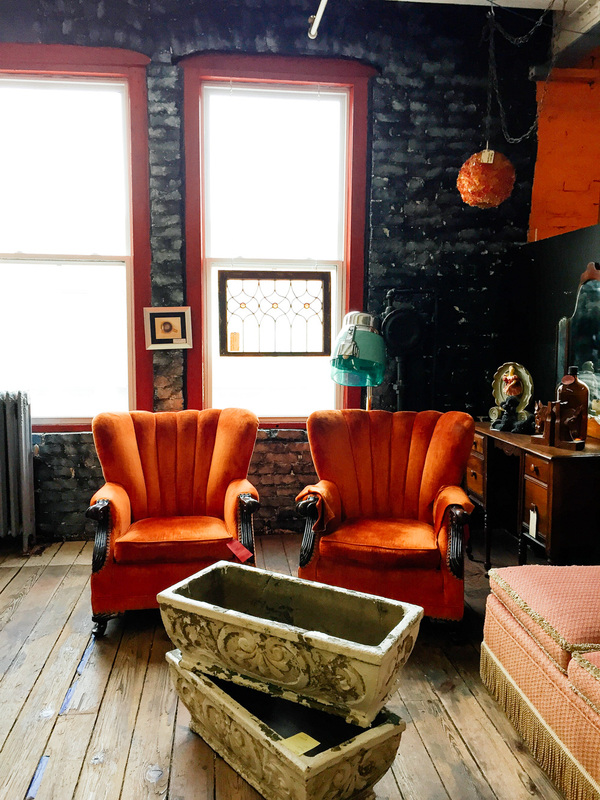 Kansas City is a bona fide thrifter's paradise and we certainly didn't make it to all the shops in town, but here are some of the highlights from our trip in a quick secondhand cheat sheet. The first thing you should know before you go thrifting in KCMO is that many of these places are occasional shops, meaning that they aren't open all the time and you'll want to plan accordingly (first weekends of the month, usually). Urban Mining wasn't technically open when we wandered in after grabbing a coffee across the street at Oddly Correct, but the sweet owner let us browse anyway. She made us promise not to judge how messy it was since they were in-between events, so, of course, I promptly took a ton of pictures of the mess (sorry!). This mess, however, was full of treasures like kilim rug piles and tons of modern art. I'd love to see this place when it's actually open for business. You're a hopeless fool if you don't at least peek inside this place, because it's the most amazing antique mall I've ever stepped foot inside. It's legendary. 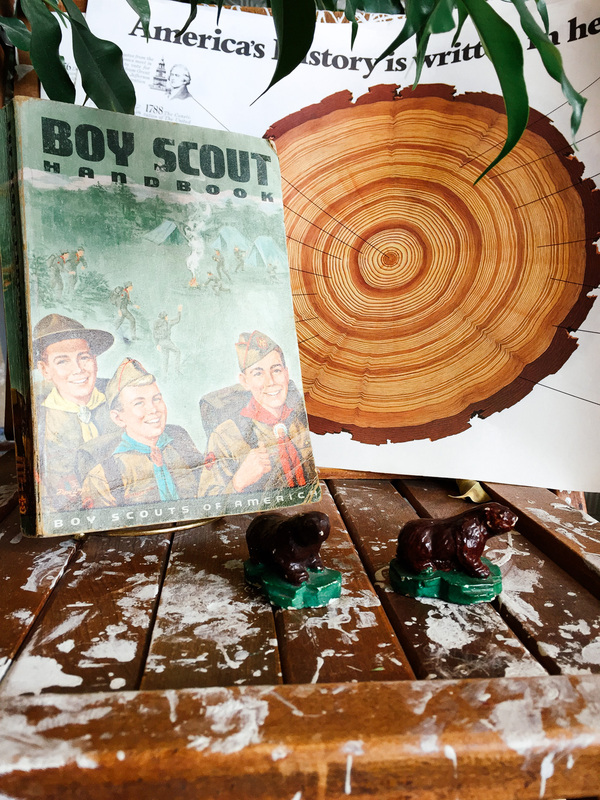 Multiple floors of affordable and nicely curated stuff from lots of sellers mean that it's going to be hit or miss depending on if you like that seller's style — but much more hit than miss, at least for us. My friend added to her pottery collection while I found a green '60s clamshell chair and a couple of tiled nesting tables that would've cost a fortune had they been sitting in a vintage store at home in Minneapolis. River Market is open regular hours, so you have no excuses. And if you go, I'm going to have to ask you to buy me that Paul Bunyan balance board pictured below (definitely looks safe to try with an axe in hand like Paul). 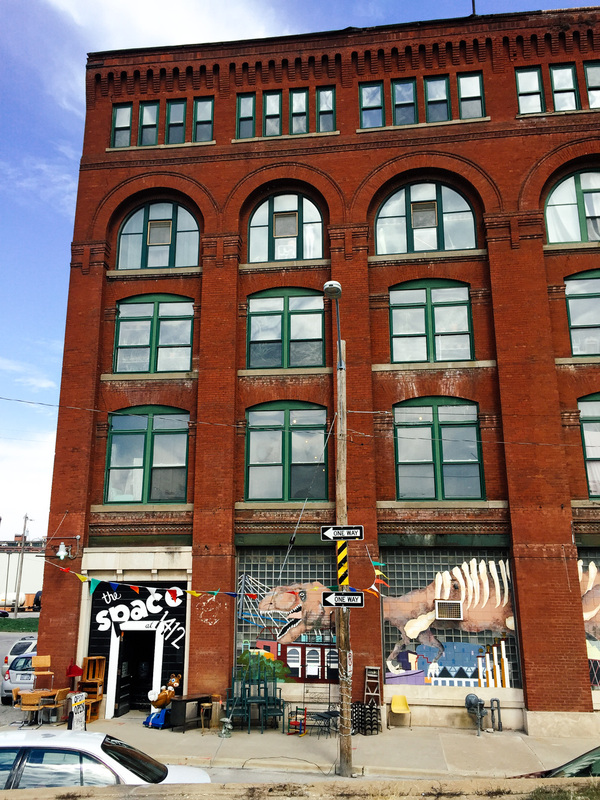 The West Bottoms warehouse district is the place to be if you are a vintage store, especially on the First Weekends when they are all open. We were there on Second Weekend, which meant that way less stuff was open, but some stuff nonetheless. Le Fou Flea was packed to the brim with well-loved merch, as well as Good JuJu. And The Space at 1412 has a f*cking T-Rex mural, so who cares what's inside?? If you do still care, the answer is things — things that aren't quite as cool as a T-Rex mural but are still very cool. 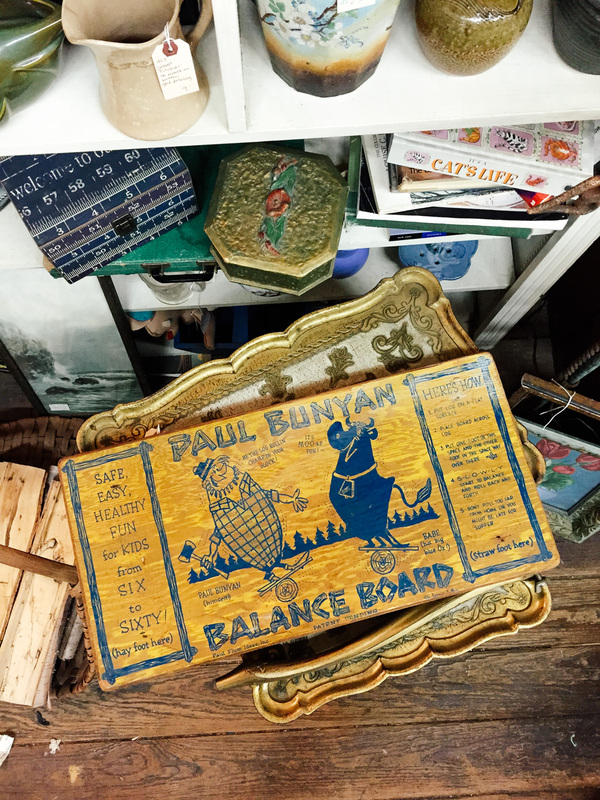 We missed a lot of shops because our trip was on the wrong weekend of the month for flea market craziness, but what else should we check out next time? P.S. If you haven't read our big Kansas City guide, check it out!